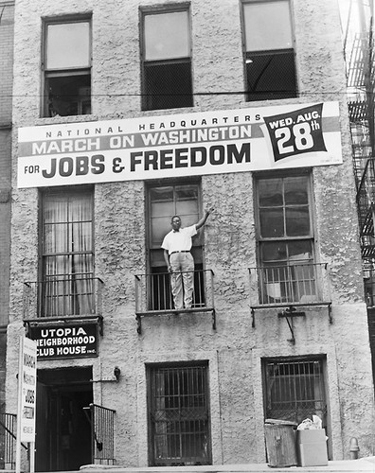 National march headquarters in Harlem, NYC. 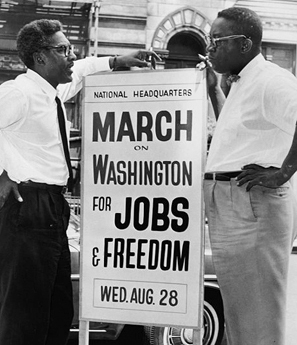 March organizers Bayard Rustin and Cleveland Robinson. 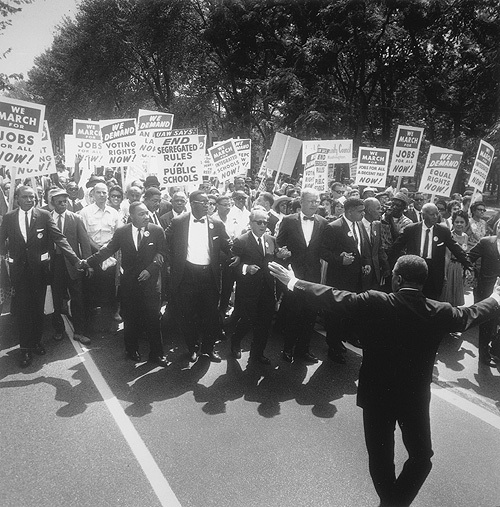 Marching for Jobs and Freedom! 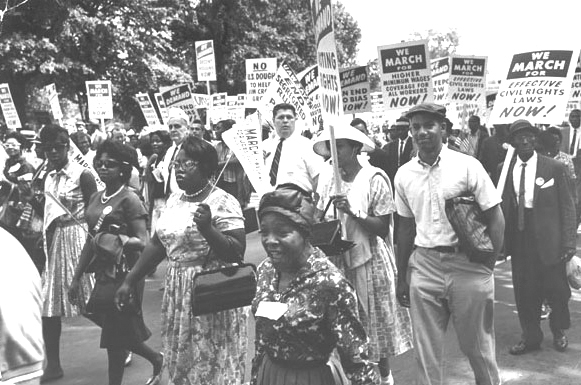 The leaders of the sponsoring organizations posing for photos as if at the head of the march. 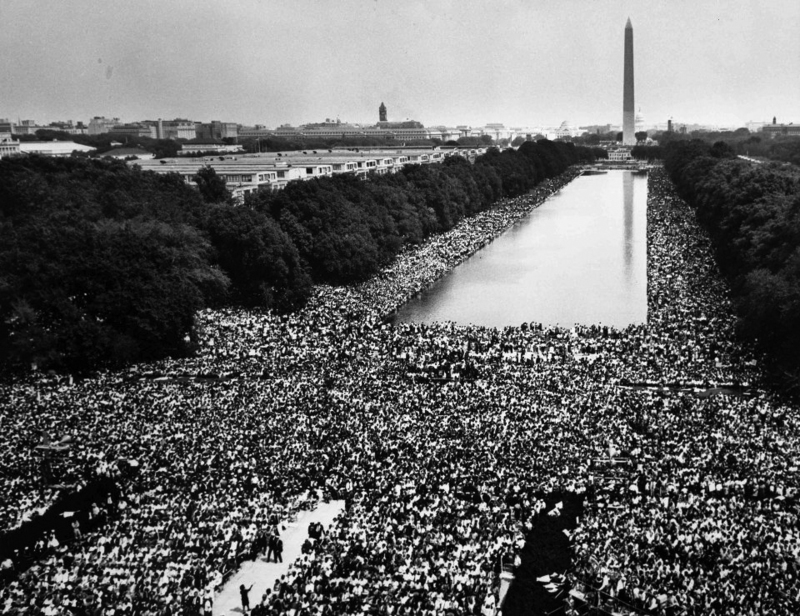 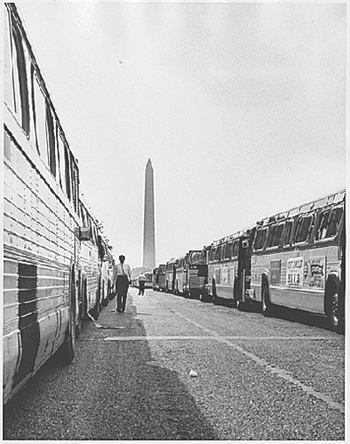 In fact, the people had already spontaneously started to march towards the Lincoln Memorial before they arrived. 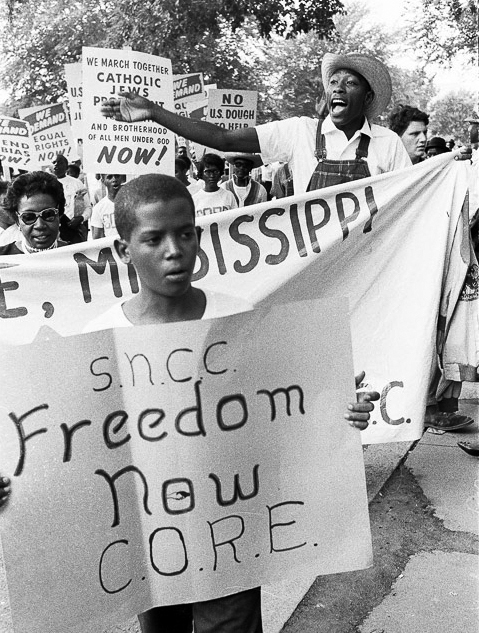 Marvin Wilson, 11 from Jackson MS. 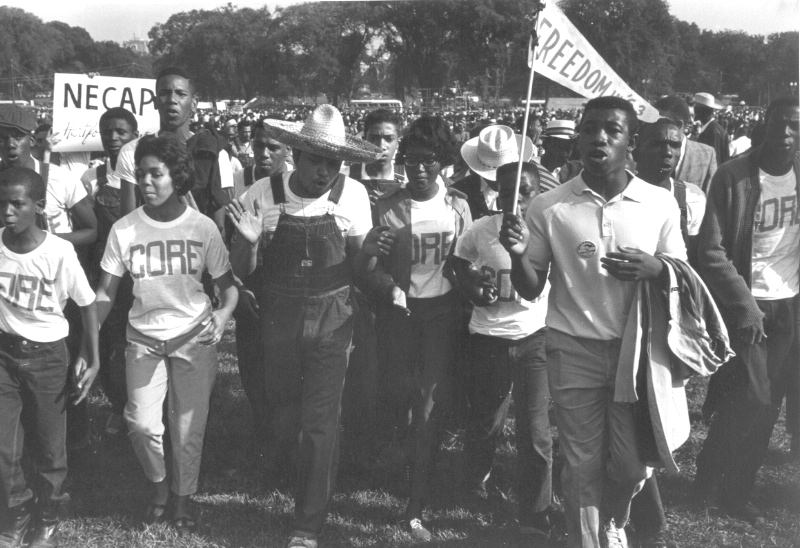 CORE organizer Mateo "Flukie" Suarez, (in straw hat). 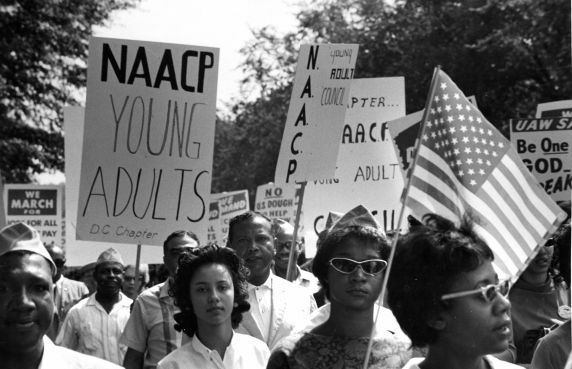 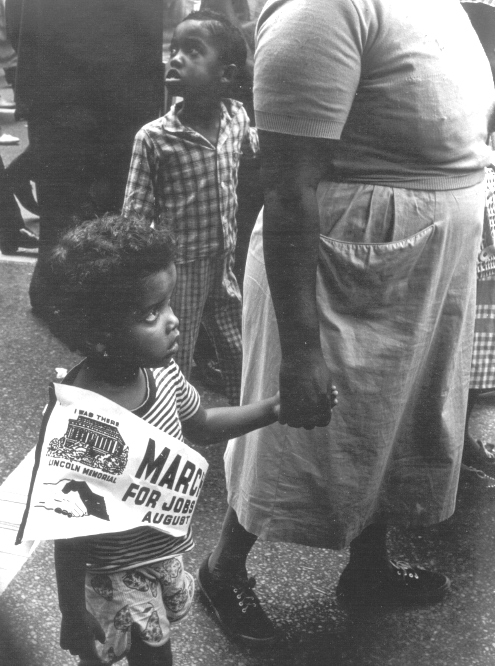 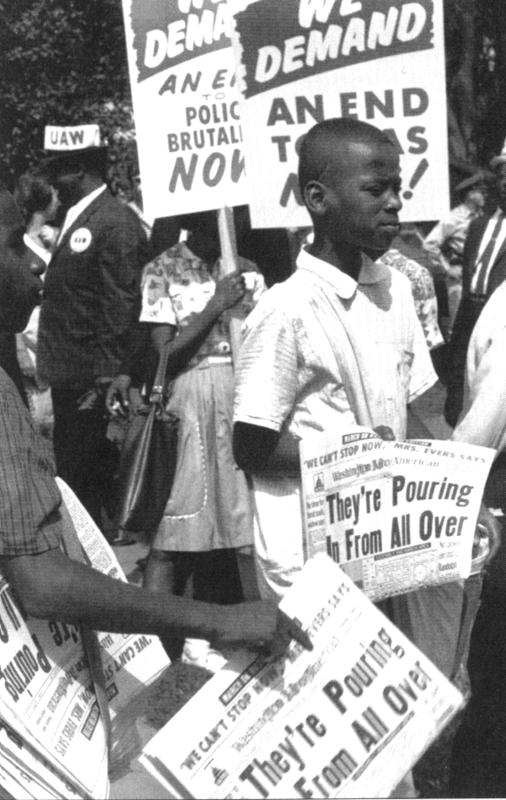 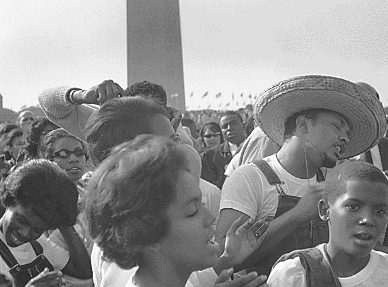 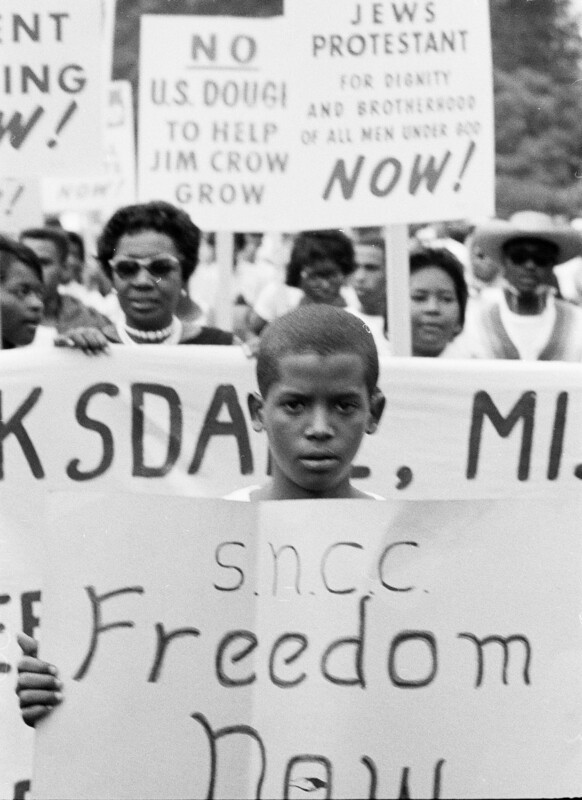 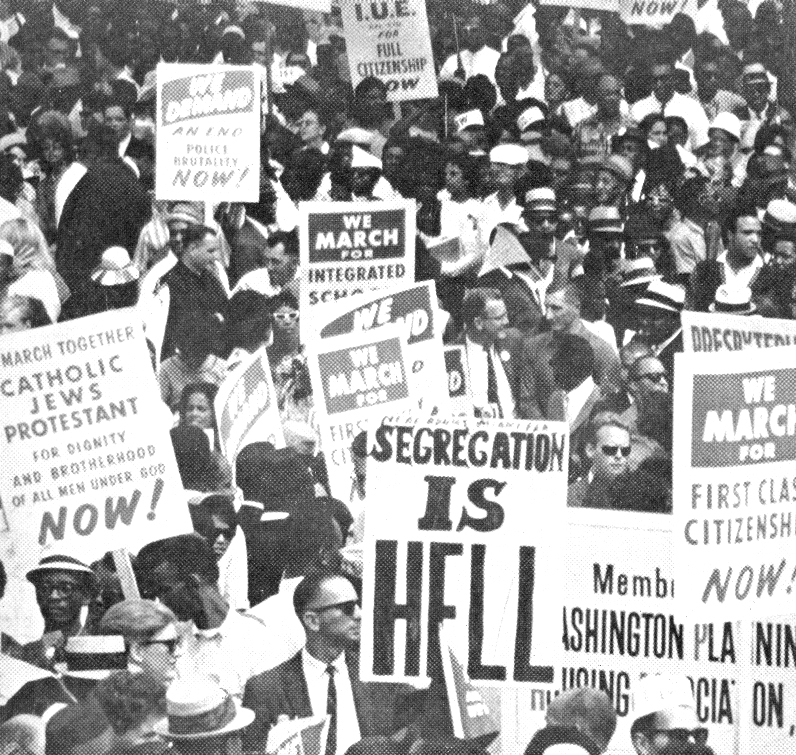 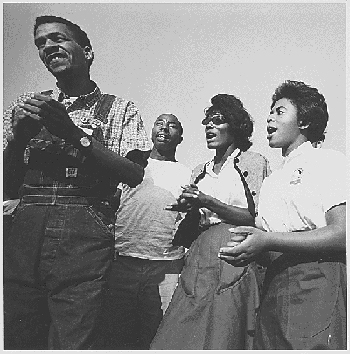 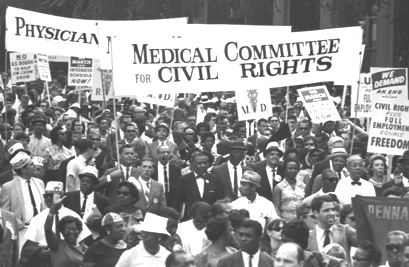 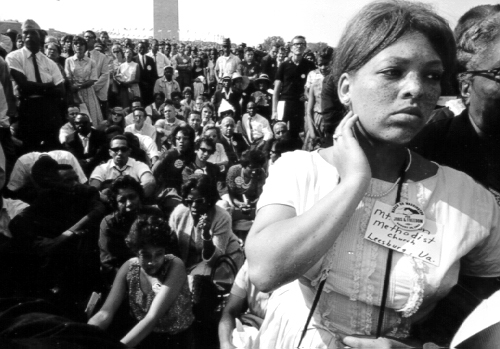 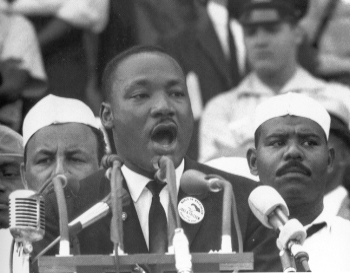 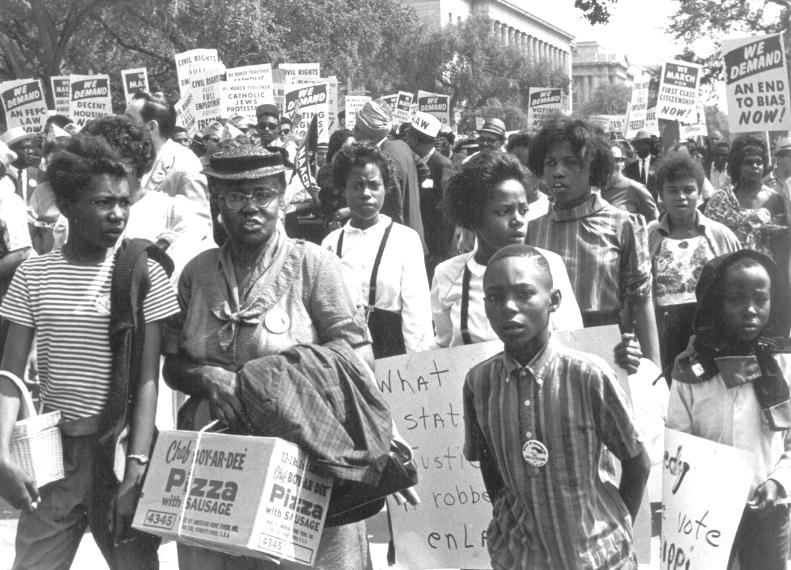 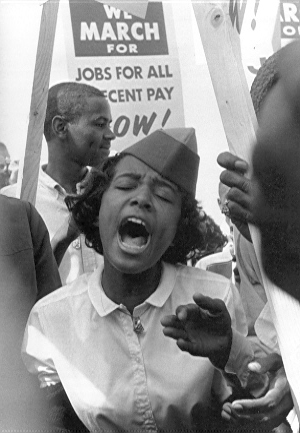 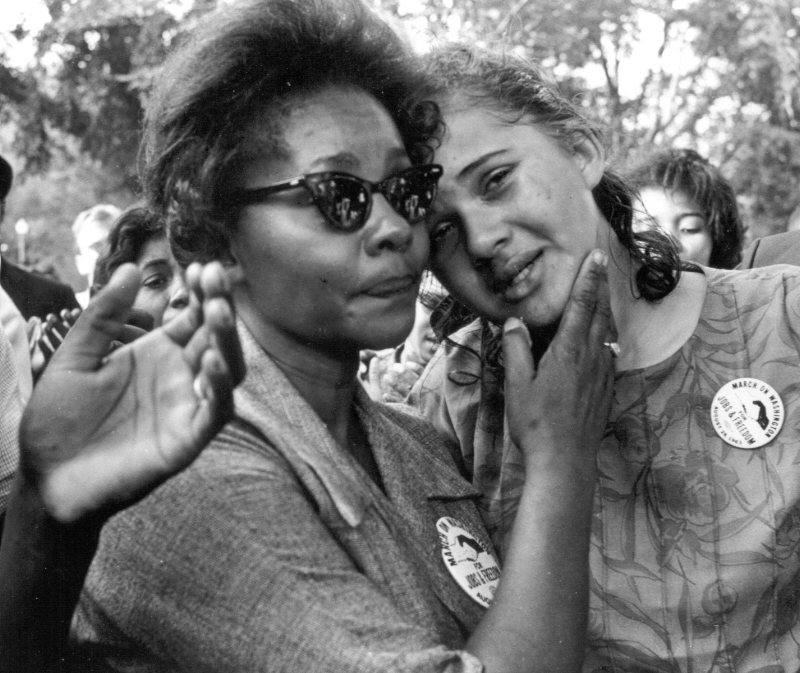 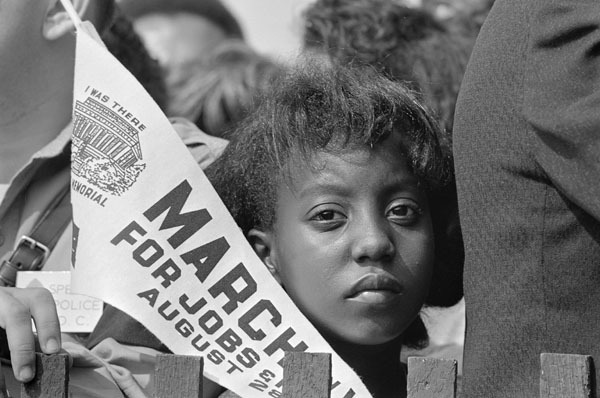 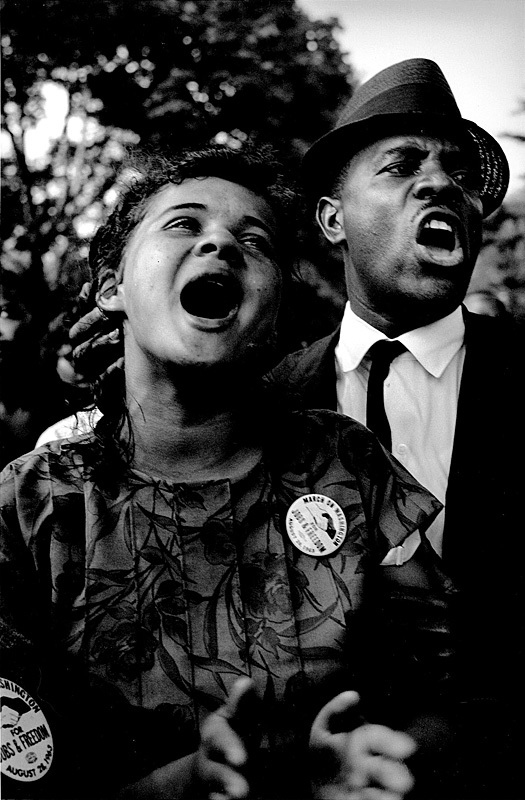 Marvin Wilson, a young activist from Jackson MS. with others from the Mississippi movement.